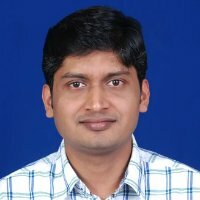 Dr Sandeep Deshmukh completed his PhD from IIT Bombay and has been working in Big Data and Hadoop ecosystem for 7+ years. He has executed complex projects in different domains in a distributed computing environment. He loves teaching and interacting with people and has conducted numerous workshops on Hadoop and Apache Apex. Currently Sandeep is a Trainer and Consultant for Big Data, Hadoop and Apache Apex. Asst. Vice President & Data Scientist at Reliance Industies Ltd.
Senior Domain Expert at Persistent Systems Ltd. Early bird registration ends 15 April 2017. Please visit registration page for details. If you are not happy with the training, we offer 100% money back guarantee.